Yes yes being a little Asian girl I'm not exactly your stereotypical beer guzzler. Not that I'm a huge drinker mind you. Hardly. Just like your stereotypical little Asian girl, I am a complete lightweight. A pretty cheap date. But give me a cool refreshing beer on a hot summers day and I'm a happy chappy. Give me two and I'll probably be under the table. Now, there are beers, and then there are BEERS. Guinness, the infamous Irish dry stout, falls in the latter category. Big, bolshy, in your face beer. A meal in a glass. Liquid bread. Being such a lightweight and thus naturally preferring lighter wheat beers and largers, stout has never been my cup of...beer. And on top of that, beer and chocolate is not exactly a combination that screams delicious. But when my Mum fell in love with this Chocolate Guinness Cake I knew I had to try and recreate it for her. We first tried this cake at my father in law's bday party. A family friend, Melodie made it and kindly shared the recipe with us. The cake was dark and moist and had such a strong chocolatey flavour that I was very surprised to see that the recipe used cocoa and didn't have dark chocolate in it. I swear I could taste a hint of the Guinness in the cake, just a touch of that famous roasted unmalted barley but that might have entirely been a product of my overactive imagination. I deviated from the original cream cheese frosting the cake had and opted for my tried and trusty whipped ganache frosting in order to up the chocolate factor...and also because I had seen this amazing ruffle cake on the incredible Sweetapolita blog and was completely blown away. Ever since, I've been just hanging out for the perfect opportunity to try it out in all its ruffly glory. You could say, this post has been brewing for a while now. My attempt was no where near as pretty or magnificent as Sweetapolita's cake. So there are definitely a few pinters for next time. For starters, it's a bit of a midget (I decided to make two cakes so Mum could take one to work) and it's bald on top (I ran out of icing as there were two cakes to frost instead of one) but all in all I'm pretty pleased with my first attempt at the ruffle cake. The ruffles were easy to do in concept, but a little bit tricky in execution but really only because I mucked up the salted caramel stage and had lumps of hardened sugar which got stuck in the teeny tiny petal tip and caused a pressure build up followed by a frosting explosion. Messy messy times. The cake itself was definitely moist and chocolately but on my second time tasting it I reckon it's a little lacking in sweetness. So delicious this cake certainly was, but soz Nigella, it's not quite The Chocolate Cake recipe I've been dreaming of. Still, it was super easy to whip up and mum's colleagues loved it, so ales well that ends well right? 1. Preheat the oven to 180oC. Line one 22 cm round springform pan with baking paper. 2. Heat Guinness and butter in a saucepan until the butter has melted. Add cocoa powered and sugar and whisk to combine. 3. In a separate bowl mix together the sour cream, eggs and vanilla and then pour into the cocoa/Guinness mixture and beat to combine. Whisk in flour and baking soda. 4. Pour the batter into the prepared pan and bake for 45 - 60 minutes. Cool completely in the cake tin. 5. Frost when completely cool. Recipe Adapted from Baked: New Frontiers in Baking. 1. Chop up the dark chocolate and place in a large heat proof bowl. 2. In a small saucepan, combine cream and salt. Bring to a low simmer and stir until the salt is all dissolved. Take off the heat. In another saucepan, combine water, sugar and corn syrup and heat on medium high until the sugar is all dissolved and the mixture is an amber colour. Take off the heat, and add the warmed cream - be careful it will bubble up ferociously! 3. Add the hot caramel to the chocolate. Let it sit for a minute to melt the chocolate. Stir a little with a silicon spatula to make sure the chocolate is melted. 4. Beat the chocolate/caramel mixture on low/medium low until the mixture is cool. .
5. When the mixture has cooled, crank the beaters up to medium high and add the butter a couple of cubes at a time until light and fluffy and smooth. You might need to put the frosting into the fridge to set up a little before piping if it's a bit too oozy. Or if you've had it in the fridge for a bit and it's a bit too hard just let it warm up on the bench until it's warmed up. 6. To make the ruffles: You need a piping bag and a petal tip. I used the wilton 104 petal tip which worked a treat (but it I wasn't a poor student I'd get a larger one). Now the process to make the ruffles is are to explain in words but I found this video on youtube by Sweet and Saucy Shop which was super helpful. First, using a pallet knife, cover the cake in a layer of the frosting to flatten out the surface. Then fill your piping bag and tip with the frosting, start at the bottom of the cake with the thin side of the tip pointing outwards and the fat end of the opening touching the cake pipe the frosting side to side to get a ruffle around 1 inch wide. When you get to the top of the cake, taper off and start right next to your first ruffle, repeating the motion and making sure you get the second ruffle as close to the first as possible - touching even. 7. Continue making the ruffles until you have gone round the entire cake. Now for the top, you can leave it flat (like I did) or make ruffles on the top too. Have the nozzle lying flat on the cake right at the edge with thin part of the nozzle facing towards the circumference of the cake and fat part towards the centre. Now pipe little semicircles to get like a wave border round the very outside. Now repeat with a second layer closer towards the centre of the cake slightly overlapping the outer border. Carry on until you get to the middle. 8. Keep the frosted cake in the fridge for up to 3 days but let it come to room temperature before serving (so the frosting has time to thaw out and get nice and moussey). its past mid night right away to crash on my pillow, sure to dream of ur cake! looks stunning i so love ur cake stand! and sweetapolita is my muse! What a beautiful cake! I am tempted to get a Wilton 104 petal tip and try this myself. I think your bald midget cake looks lovely. I am way impressed with the ruffles. oh yum, I made jay a choc and guiness cake for his 40th with peanut butter frosting, yours looks fancier !! Cute! I love the look of the frosting, I will have to try it sometime. (Sounds delicious too!). so beautiful! Glad to find your blog - beautiful job on the cake! HOW HAVE I ONLY JUST DISCOVERED YOUR BLOG?! this is an outrage. it is gorgeous! i want cake. that is all. I love how you got through with things. Most people would give up frosting it with the clumps on the ganache causing a blast! You're one serious tough cookie! I started to enjoy beer since I passed 5th year med too. Hahaha. Guiness and choc certainly mixes like a little UK heaven! Awesome job Nessie! Chocolate guinness cake just got better?! Hehe, I'm watching Anthony Bourdain's episode in Prague...so I squeed out loud when I read "beer o'clock". This frosting looks so delicious! Wonderful! It seems like guinness and chocolate cakes are pretty popular in the uk - I usually use a similar recipe from Delia Smith. This looks/sounds so good. I've been trying to make a Guinness chocolate ice cream for a few days now but it never turns out right.. I think I may need to make this with the rest of the Guinness! Holy Moly! So impressed right now. Loving the ruffles (and how can I never have come across sweetapolita before?) and your gorgeous flavour mixing! I've been admiring your baking prowess reading your blog posts and working up the courage to expand my baking horizons. Nigella's Chocolate and Guinness Cake is a regular for my husband's morning tea and this post has given me a shove to try a different icing. i think i'm even less of an alcohol drinker. i love beer and wine and cider and everything in cooking, but somehow I just can't take it straight, I'm that lousy. the cake looks fab, too beautiful to eat actually! That icing is gorgeous. I now want a) a piece and b) a petal icing tip! Love your blog, your pics are amazing. Ananda Rajashekar: Thanks heaps Ananda! Hope you had sweet dreams hehe :) Cake stand was a wedding prez we got and I am absolutely in love with it!! paula @ pod and 3 peas: ooooh peanut butter frosting...sound absolutely delish! Must try it with that frosting next time!!! Linno: Thanks heaps lovely! It's seriously so much easier than I thought it would be! Stoked! PFx: Hehe thanks for seeing my stubborn bullheadedness as a virtue! I have yet to step up my beer consumption to include guiness...maybe after a trip to Ireland perhaps?? Zo @ Two Spoons: Hehe I'm a HUGE Bordain fan too...the guy is hilarious!!! Donna: Ooooh guiness and choc ice cream - I'm intrigued!! The flavours work well in a cake, never even considered it in an icecream. timeforalittlesomething.com: How amazing is sweetapolita right?? So inspired all the time by her. Oh to have her cake skills. Domestic Executive: Oh wow that is such a lovely comment! Stoked to hear that you are liking the blog. I love experimenting with different flavours...sometimes they work out, and sometimes they don't but it's always fun to try something new huh? Shu Han: My mum can't drink alcohol either but loves this cake! Alcohol in cooking is like getting all the good stuff (the flavour) and none of the bad stuff (alcohol) so its the best of both worlds really huh? Thanks heaps for stopping by and tagging me! Vincent: Oh wow, thanks heaps I'm flattered! 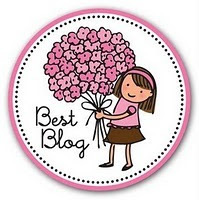 Your blog somewhat reminds me of eating lots of chocolates all day! Although eating too much is too bad for me. hehe. Anyway, I'll be bookmarking your blog for future reference of delicious recipes of desserts! Best Blog Award: ta muchly Bunny Eats Design!